The QbE®-2 Cleaning Platform is designed for ultimate in performance and convenience. The cleaning platform includes our FiberSafe™ platen to assure no end face damage during cleaning processes. 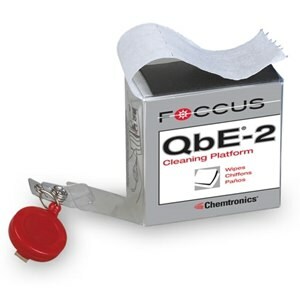 Using the QbE-2 platform makes UPC and APC (angled) end face cleaning easy and provides for First Time Cleaning.